Features: So festive! Perfect for any type of Holidays. 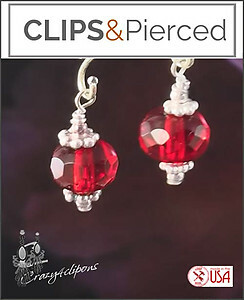 Pretty faceted Czech small red rondelles are hand wrapped in sterling silver. Paired up with sterling silver daisies and seeds. 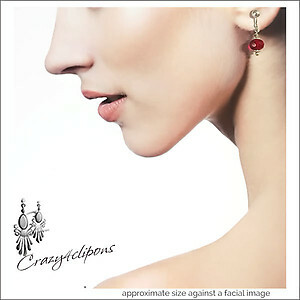 Very pretty earring design that is available for pierced ears too.